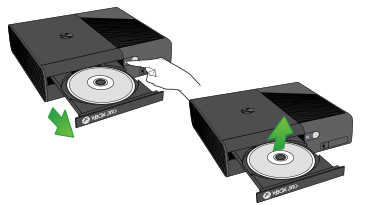 Setting up your Xbox 360 E console is easy – just follow these step-by-step instructions. You can position the console vertically or horizontally. Plug the power cord into the power supply. Plug the power cable into an electrical socket. This Composite Audio/Visual cable does not support high definition (HD) display. 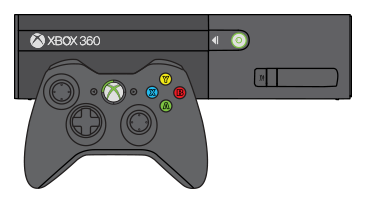 If you have an HDTV and want to check the instructions for using an HDMI cable, see Connect your Xbox 360 console to a TV. Connect the small 3.5mm connector to the 3.5mm jack on the back of the console. 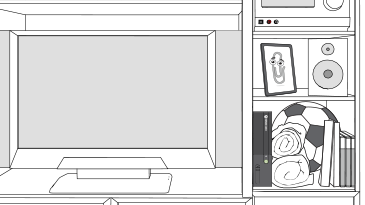 If you don't see the Xbox Dashboard, you might need to change the video input setting. 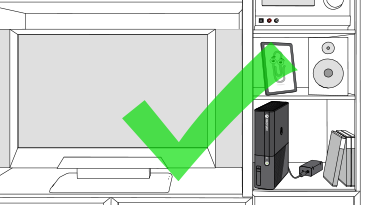 To change the video input setting, refer to your TV or Entertainment Centre manual for instructions. Insert the AA batteries into the controller. 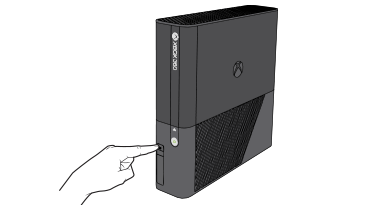 Turn on your controller by pressing and holding the centre Xbox Guide button, until the controller turns on. If the controller does not turn on, check the batteries. If you’re using a rechargeable controller, make sure that it is charged. Press and release the connect button on the console. Within 20 seconds, press and release the connect button on the controller. When the lights surrounding the power button on the console stop flashing, the controller is connected. You can connect up to four controllers to a console. Each connected controller is assigned to one of four positions. 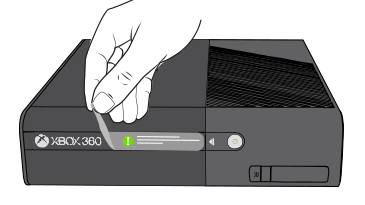 Each position corresponds to a lighted section around the controller’s Xbox Guide button. If you have a wired controller, see Connect a game controller. Set up a network connection (optional). 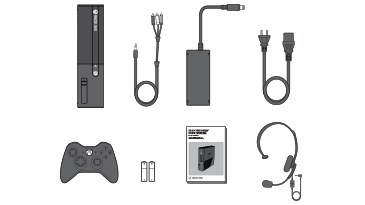 For information about how to connect to Xbox Live, see Wired connection or Wireless connection. Follow the on-screen instructions to complete these steps. Now, insert a game disc and you’re ready to start playing! Would you like to contact Support regarding the "Set up your Xbox 360 E console" issue you were reading about or a different issue?